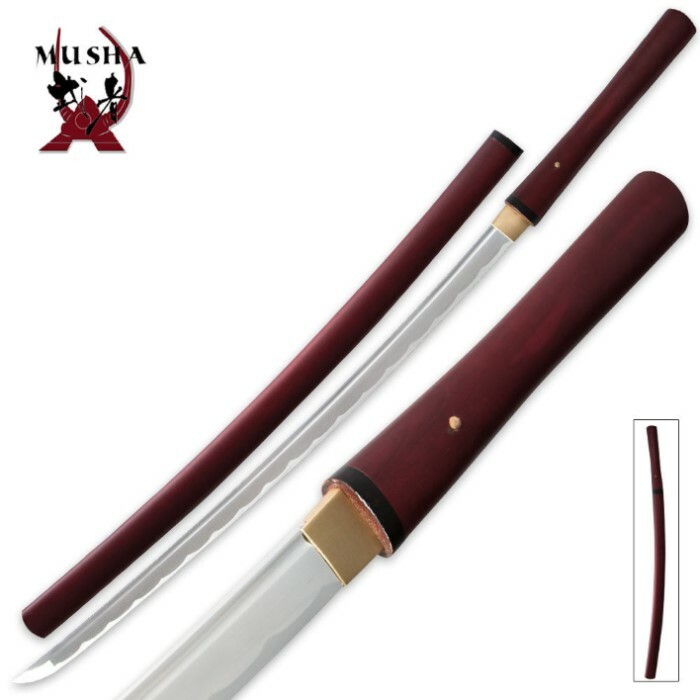 Musha Bushido Crimson Rain Shirasaya Sword | BUDK.com - Knives & Swords At The Lowest Prices! 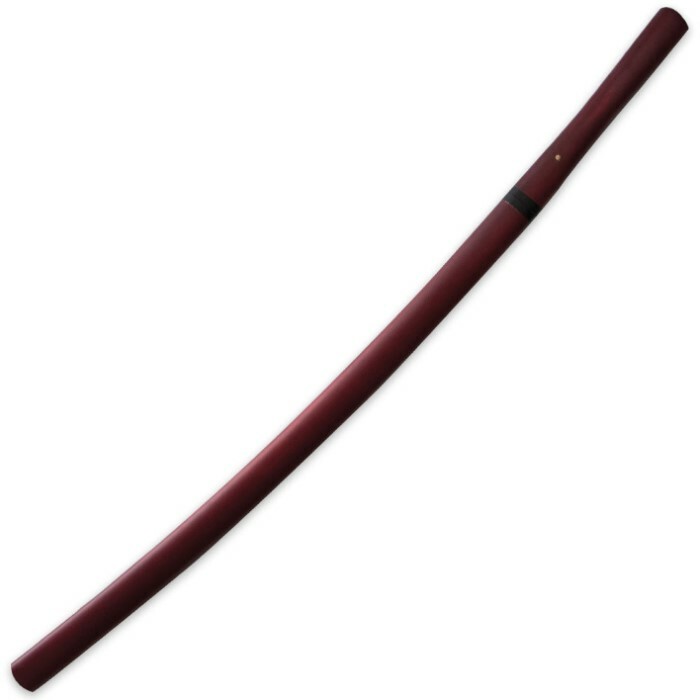 This Bushido Musha Crimson Rain Shirasaya sword brings a hand-forged, high-carbon blade into a no frills shirasaya sword form. The 27" high-carbon steel blade is hand-forged by skilled swordsmiths from the ancient town of Longquan. The blade is fullered to reduce weight and increase the speed of handling, but not so much as to reduce the integrity of the sword. A matching hardwood scabbard completes this simple, yet beautiful, functional work of art.